Downloaded the app for my Garmin 1030 using pro ion 1300 and 2 rt flares. Also I have the Bontrager remote control, but was very confusing trying to control the lights with the app and the remote control so in the end I uninstalled the app and just use the remote which is a lot simpler and I recommend anyone to use the remote controller over this app for simplicity.. Without the remote I expect the app would be ok but too complicated trying to use both. Setup instructions for Ion Pro Rt 1300 light and Edge 1000 are almost non-existant. The actual app is glitchy. It shows a high and low button but when I select high it immediately jumps to low. the latest headlights Ion 200 RT and Ion Pro RT are not fully supported. The flash mode selection is not effective, selecting it brings no change. The only way to activate the flash mode is to be set to "Auto" mode. I hope this will be quickly fixed. It works but for me should be one more button to customize the light mode (3 not 2). For me especially for front light (to have direct access to high, low or flash mode). Bontrager can you add it with next update? Got my Edge 1030 paired my Bontrager RT LIGHTS to the Edge and also installed the app all works seamlessly. Set lights to come on in Day flash Mode when I press the Timer to start my Ride. Sweet. In theory it’s a good idea. Having control of the lights from the unit is very handy but when I set my lights to come on upon my Garmin timer starting this app stops them from doing so. Is there any way to allow my lights to come on at start up whilst retaining control via the app. It doesn’t appear so. 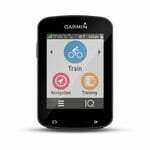 Downloaded this app to my Garmin 820 but don't seems to see the app on the unit when i try to search for it. I do however see it on my computer when i try to manage apps. I'll give my final rating once i get around actually using them. Any idea to figure it out? No funciona bien la aplicación con la version 10.0.0.0. Se queda colgada creando la red. Can you please invert the screen on day time to black text on white background? 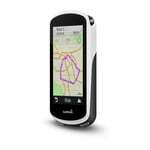 It works great with an Garmin RTL 510.
con la ultima actualizacion (version 10.0) del Garmin 820 edge, no funciona la aplicacion. The app seems to be running perfectly with my ion 200 RT and my flare RT. The only reason for four stars instead of five is that it's a bit slow to form it's network each time and the app is not all that intuitive to get up and running. Be sure to swipe down to get more options from the widget. How many lights can it control at one time? Winter's coming on and I might like to add the ion pro RT. 'Doesn't look like there's room in the app screen for a third column. So much potential but doesn't quite make it. The auto mode for the light is terrible as others have mentioned. Going to full brightness when traveling under trees burns the battery too quickly and makes the light useless for anything but the shortest rides. While it's nice the light turns on when my Garmin starts recording the ride, it doesn't automatically turn off the lights when I am paused for a lengthy period. There isn't a button to turn off the lights and have them auto-start when I move again. Lots of common sense features just not there. Hi David, The auto mode is controlled by Garmin in the light network mode. The light control app does not have the ability to control auto, only take the lights out of auto and put them into a specific mode. The 'Light Beam Activated' feature can be accessed also under the Network Mode and is controlled by Garmin. Changing that to 'Timer Start' should do what you are asking. I can help relay your feedback to Garmin if you would like. 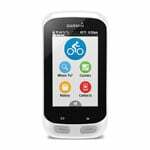 I downloaded Bontranger Light Control to my Garmin Edge 1000. I was hoping to be able to control the modes of the Ion 800 RT. The only modes in the app are “Auto, Hight, Low, Off”. Using “Auto” during the day has a problem in that if there is any shade the light stops flashing and stays on (not sure if it is in “High” or “Low” mode). The battery does not last very long using this approach. I found that if one uses the tool box icon on the Edge 1000 then selects “Sensors” then “Lights” then “Network Options” then “Light Mode” then select “Individual”. Go back to the “Network Options” screen and select “Headlight” then “Light Mode”. I then select “Day Flash” which increases the battery life. I have removed the Light Control app as I do not find it very useful to allow me to have enough charge for a multi-hour ride. Hi Bob, In the upper right corner of the light control you will see a button that will take you to the settings menu. In here, you can change the override buttons (the two middle buttons) so that they reflect the modes you want to be able to go to. Auto is controlled by Garmin, and the app only has the ability to take the lights out of auto and set them to a specific mode.